Only a few more weeks until we celebrate America’s birthday on July 4th, however, we all know how fast holiday styles fly off the shelves. Don’t be the only ones at the BBQ, the beach or the pool this summer without your red, white and blue on. 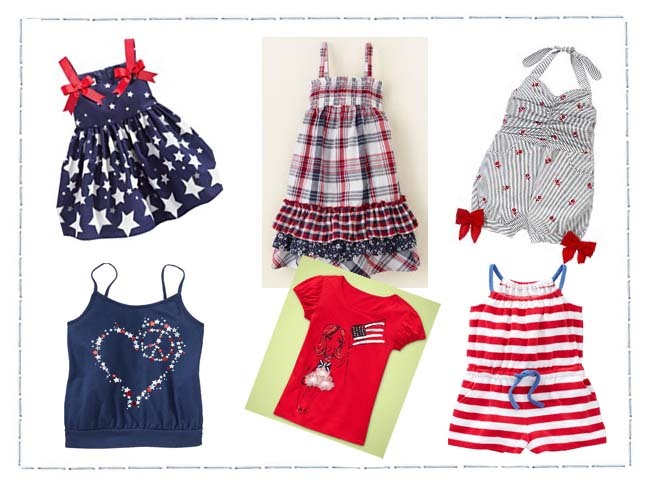 Take a few minutes, paint their nails the colors of the flag and have them wear one of these adorable styles all day long to celebrate freedom — especially the freedom to wear what they want!